What is refractive error (eye focussing problems)? For a person to be able to see properly, the image of an object needs to be focussed on light-sensitive tissue at the back of the inside of the eye (the retina). Refractive error occurs when the shape of the eye prevents light from focusing directly on the retina. The result is that the perceived image is blurred. Refractive error causes long or short sightedness and difficulties changing focus. What are the common types of refractive error? The most common types of refractive error are myopia (near sightedness or short sightedness), hypermetropia (long sightedness), presbyopia, and astigmatism (uneven focus). Myopia (near sightedness) is a condition where objects up close appear clearly, while objects far away appear blurred. With myopia, light comes to focus in front of the retina instead of on the retina. Hypermetropia (long sightedness) is a condition where objects in the distance look clear while objects up close appear blurred. Hypermetropia occurs when light focuses behind the retina. Presbyopia is an age-related condition in which the ability to focus up close becomes more difficult. As the eye ages, the lens can no longer change shape enough to allow the eye to focus close objects clearly. After the age of 45 most people need to have glasses to see near print and objects clearly. Astigmatism (uneven focus) is a condition where images appear blurry and stretched out. The eye does not focus light evenly onto the retina. 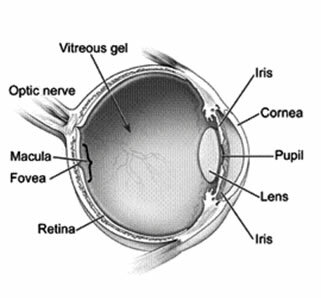 The shape of the front surface of the eye (the cornea) causes blurred images at all distances. Astigmatism often occurs with long-sighted and short-sighted vision. hypermetropia tends to appear as people age because younger people have a natural mechanism by which they adjust to it. As in presbyopia however, there comes a point at which the eye is no longer able to adjust and vision becomes blurred. presbyopia affects most adults over 45 years. Refractive error can be corrected with visual aids like eye glasses (spectacles) and contact lenses, or surgery. Eye glasses of the appropriate strength are the simplest and most effective way to correct most forms of refractive error. Various combinations of lens shape are often used according to a person’s individual measurements. An eye care professional can prescribe appropriate lenses to correct refractive error to give the best vision. Contact lenses work by becoming the first refractive surface for light rays entering the eye, producing a more precise refraction or focus. They can be used for the various types of refractive error and are especially useful for myopia. However, they can cause serious problems if they are not fitted and used properly. Laser surgery can be used to re-shape the front surface of the eye, the cornea, effectively making it into a corrective lens for the particular type of refractive error. A special computer measures the surface contour of the eye, and the shape to be ‘carved’ into the eye is calculated. The laser is then used to vaporise the surface tissue of the cornea, resulting in a new shape. In older people, removing the lens of the eye and replacing it with an intraocular lens is also a viable way to address refractive error. It is usually cheaper than laser but it requires surgery to the inside of the eye. 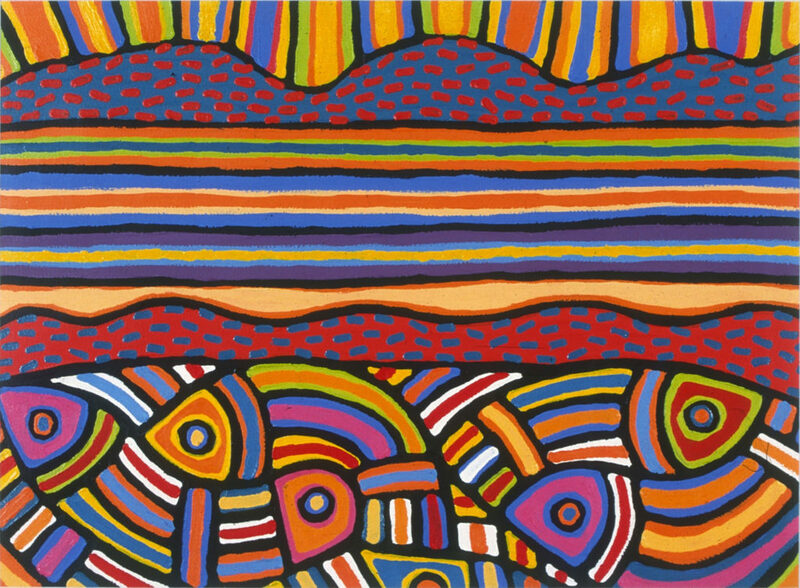 What is known about refractive error among Aboriginal and Torres Strait Islander people? Uncorrected refractive error was the most common cause of low vision for both children (50%) and adults (54%) in the 2008 National Indigenous Eye Health survey. Uncorrected refractive error was the cause of 14% of blindness among adults and 39% of Indigenous adults could not read normal size print. The main issues for Aboriginal and Torres Strait Islander people with refractive error are being able to have their eyes tested; and lack of availability, cost and repair of glasses. Spectacle subsidy and assistance schemes are available in each state and territory of Australia. Each scheme has varying criteria which provides eye care and medical aids for patients at a low cost, or no cost in some cases. Low-cost magnifier spectacles for looking at close objects which can be bought through community stores are also fine to use and do not do any harm. ACT spectacles subsidy scheme is run as part of the ACT concessions program which is administered by the ACT Department of Disability, Housing and Community.